Curbless shower and a new bathroom facilitate aging in place. 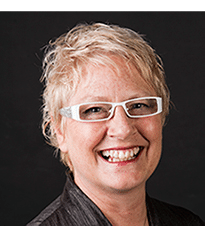 Wanting their home to allow them to age in place, this couple decided to ditch their only bathroom downstairs, a cramped powder room, and asked Pangaea to create a full bath. 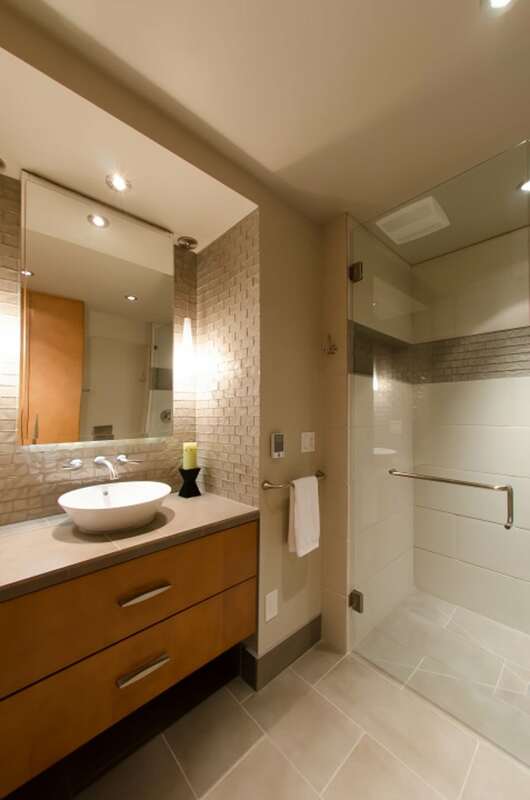 Even though the existing structure of what was previously the laundry room kept the bathroom from being completely ADA accessible, Pangaea combined functionality with beauty to create a bathroom the client could use long after they forego the stairs. 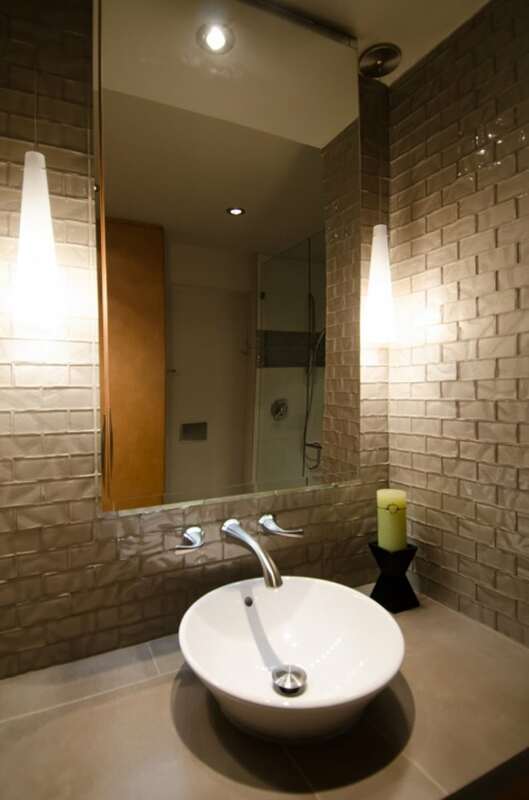 A wall mounted vanity and toilet kept the floor clear, making the room feel more spacious, saving precious inches and making the floor a snap to clean. A large, curbless shower was also added, with plenty of niche storage space for toiletries on either end. 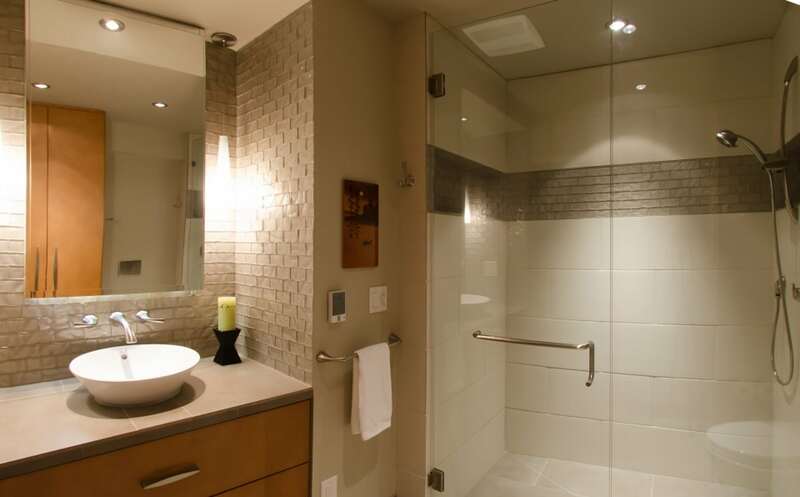 No space was wasted in this bathroom remodel! 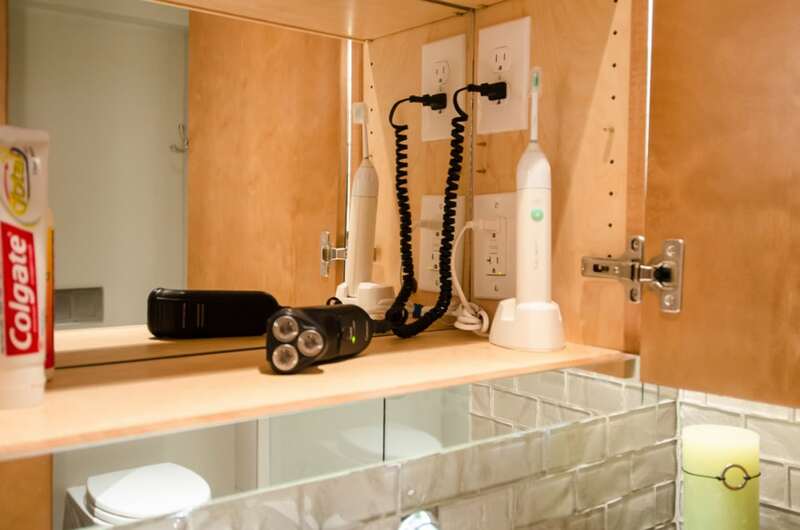 Above the vanity, a deep, custom medicine cabinet was sunk into the wall, concealing both a charging station and a mirror within. 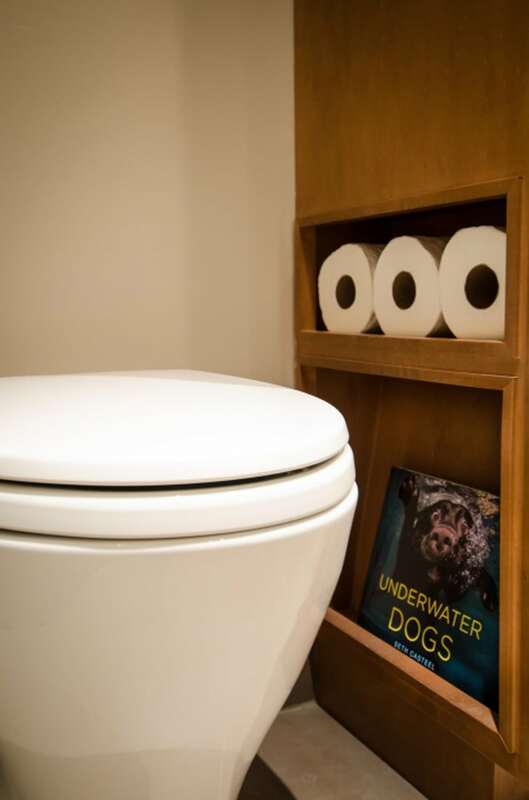 A floor to ceiling cabinet provides adequate linen storage, and a custom niche on the side holds toilet paper and magazines within handy reach. 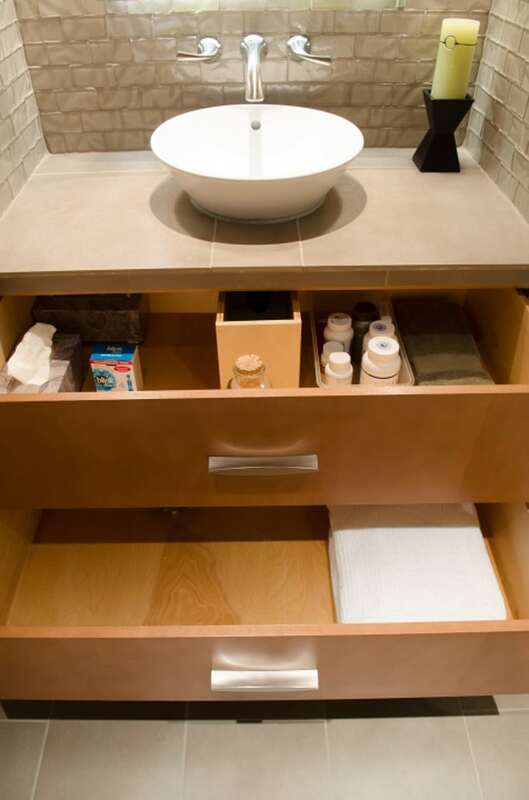 Deep vanity cabinet drawers wrap around the plumbing to maximize their volume. The line between task and accent lighting is blurred with pendant lights as a dramatic and flattering light source beautifully illuminating faces and making the textured glass tile sparkle. 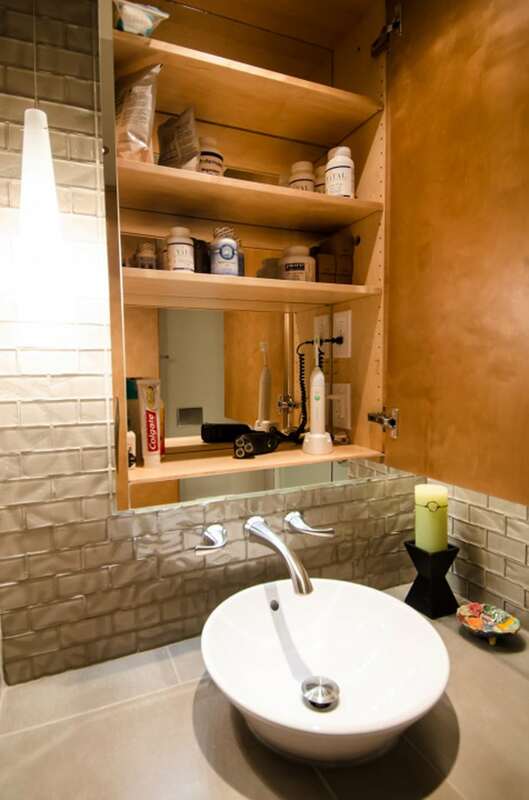 A hidden strip of LED lighting under the medicine cabinet casts a glow on the wall-mounted faucet and puts light right where you need it for washing hands.